Home / People / Economic / How much money do migrants send home to individuals? 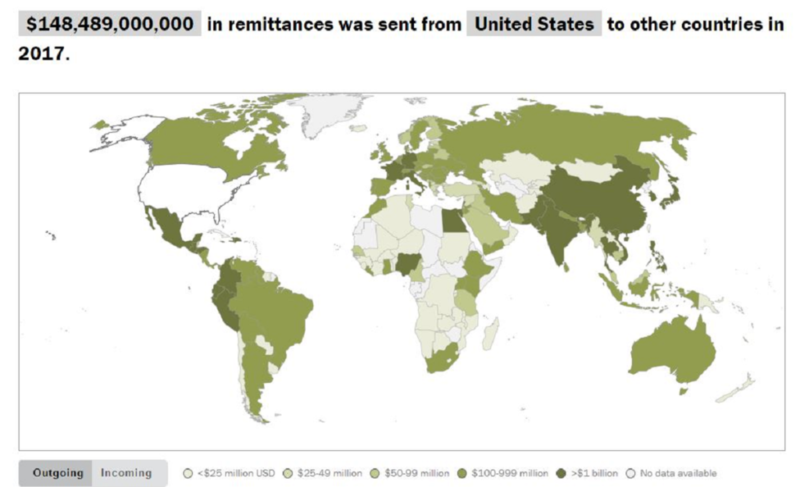 Pew has an interactive graph on their Remittance flows worldwide in 2017 page where you can select a country and either outgoing or incoming. The result is get a map of how much money was sent to other countries or came into the country. For example, the graph here is for money sent from the U.S. to other countries. Along with the map, a table of data is updated to match the selection on the map. A related Pew article, Immigrants sent a record amount of money home to sub-Saharan African countries in 2017 by Abby Budiman and Phillip Connor (4/3/19), highlights this data. Money sent by immigrants to their home countries in sub-Saharan Africa reached a record $41 billion in 2017. This represents a 10% jump in remittances from the previous year, the largest annual growth for any world region, according to a Pew Research Center analysis of World Bank data. Worldwide, immigrants sent a record $625 billion (in 2018 U.S. dollars) back to their home countries in 2017, a 7% increase from the previous year. 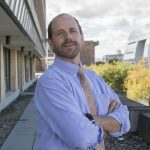 Previous What’s new at sustainabilitymath? Next What is the state of Arctic Ice?